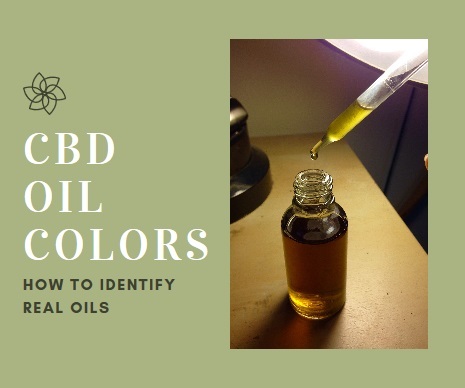 Home CBD How To Identify CBD Oil Colors? Cannabis extracts run the gamut in colors. You can choose from light or dark formulas. Some appear even clear or opaque. Consistency also varies from honey-like too runny. Also, CBD oils are available as an oily liquid or as a hard substance referred to as shatter, wax, crumble, or pull and snap (although the hard oil concentrates usually contain prominent levels of both THC and CBD). Many people assume that color denotes quality. They think that a clear, light hue must offer greater purity. However, such an assumption is only a myth. There is no correlation between CBD oil colors and purity and quality. Cannabis extracts are obtained through a variety of extraction methods such as butane, ethanol, and CO2. The process utilized has a lot to do with the final shade of the CBD oil. One of the most popular concentrates is known as shatter. It has a clear, honey-like appearance that many people mistakenly believe means that the product is pure. However, shatter is typically obtained using butane. Butane is a highly flammable substance, so the extraction process uses low temperatures which means that the solvent residue often remains in the shatter. However, solvent-less extraction methods leave behind no chemicals and produce very dark hash or rosin concentrates, but they are exceptionally pure. Without a doubt, darker concentrates are rich in plant material such as the flower, leaves, and stems. It is believed that the small amount of plant material found in the darker concentrates offer a much more fulfilling high because the THC concentrate within such preparations is not as concentrated and clear. Darker concentrates are known for providing a much more sedative, calming, and pain-relieving effect whether they contain only CBD or CBD/THC ratios. Distilled Method: The distilled method creates utmost purity with 95 percent or more levels of cannabinoids. It removes the plant’s chlorophyll (green color and grassy flavor) but leaves behind CBD and THC. CO2 Extraction: After CO2 extraction, the concentrate appears amber in color. The extraction process leaves behind plant waxes, fats, and cannabinoids but extraordinarily little plant chlorophyll. The final concentrate gained through CO2 extraction is considered a top-shelf item with superior purity. There are no harmful chemical solvents. CO2 extracted cannabis concentrates are highly favored by medical marijuana users. RSO Method: With the RSO extraction method the goal is to preserve a small number of the plant’s fats and waxes along with the chlorophyll. Rick Simpson Oil has a very dark coloration with a potency rating of over 90 percent when done correctly by a knowledgeable extraction artist. However, it must be noted that RSO extraction typically uses isopropyl alcohol, butane, ethanol, or another solvent. Butane or Hexane: As mentioned above, the use of butane renders a noticeably clear, honey-colored concentrate that boasts prominent levels of THC or CBD. Butane is used to fashion butane hash oil (BHO), which remains immensely popular, but some people steer away from the concentrate because of the chance of solvent residue. However, even with a tiny bit of solvent, BHO and other butane created concentrates remain very much in demand due to their high cannabinoid concentrate ratios. Raw CBD oil is very much like raw honey. The oil has undergone extraction, but it never goes through additional filtration to remove things like chlorophyll. Raw CBD is either very dark in color or green. It contains ample raw plant material, phytochemicals, and chlorophyll. Many people prefer raw CBD for the whole plant effect and the added phytochemicals. One thing to remember is that if the raw CBD oil has been extracted using solvents and not gone through further filtration then solvents might remain present in the oil. It is always important to look at the extraction process that was used to gain raw CBD oil. THC and CBD are both more active in the body when heated. The heated process is referred to as decarboxylate. The heat changes the chemical compounds of THC and CBD, so they are activated. It helps improve the potency and efficacy of the cannabinoids, so they have much greater effects. Typically decarboxylated oil is brown or darker brown in color. Filtered oils have undergone considerable processing plus decarboxylation to effectively remove all plant materials, chlorophyll, and phytochemicals. The final product is very golden in color and often called ‘gold.’ Usually filtered CBD gold oils carry a high price tag. Typically, if the CBD oil is dark it has gone through truly little processing which many consumers like because it’s more natural. The clearer shading means that the oil has gone through extensive filtration processes. CBD oil colors indicate the filtration process that the product has undergone. The oil’s final color gives you an idea of its filtration processing. White CBD Oil: There is no truly white CBD oil but there are noticeably clear yellows and golds which have undergone extensive filtration and decarboxylation. However, there is a process that extracts CBD from the plant material and further refines it into a white powder which is often used in edibles. Also, pure CBD forms a white powder which is referred to as CBD isolate. Green CBD Oil: Green CBD oil contains chlorophyll which is what gives the plant its green coloration. This CBD oil is considered raw and has never undergone filtration. Brown CBD Oil: Brownish CBD oil has been decarboxylated to activate the CBD and THC. However, it has not experienced further filtration so is still robust in flavonoids and plant material. Gold/Yellow CBD Oil: Premium filtered CBD oil is golden or yellow. It often bears a resemblance to honey. All the plant’s material and chlorophyll have been removed. What are Carrier Oils in the CBD Oil Making Process? CBD isolate is impossible for the body to use since it is bioavailable and must be in the presence of fat for the body to utilize. When ingested, the carrier oil binds with the fat molecules in your system. Also, CBD is far easier to measure out when mixed with oil. A variety of carrier oils are used to mix with CBD. Coconut Oil: Coconut oil makes a fantastic carrier oil because it has little or no flavor. It is also very thin, compared to other oils so you can easily measure the substance. The oil is a natural antifungal, anti-inflammatory, and antibacterial substance. Coconut oil is rich in saturated fats, particularly medium chain triglycerides (MCT), which the body has no problem absorbing. 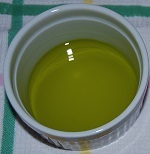 Olive Oil: Olive oil is very thick which most people do not like when measuring dosages. Also, the oil contains larger fat molecules which reduce the amount of CBD that your body can use. Avocado Oil: CBD mixed with avocado oil for ingestion is rare, but it is sometimes used in topical mixtures. Grapeseed Oil: The thin consistency of grapeseed oil and its polyunsaturated fats makes it a less than ideal carrier oil for CBD. If you are seeking the best form of carrier oil for CBD than the two leaders are hempseed and coconut oils. How to Spot Fake CBD Oil Color? Fake CBD oil does exist, and it poses a serious health hazard. In January of 2018, over fifty people became ill because of fake CBD oil fashioned from a toxic synthetic. You should only purchase CBD from a reputable retailer and use only a respected brand. Furthermore, always take the time to determine how the CBD was sourced and what extraction process was utilized to pull the oil from the hemp. Respected CBD brands have their products analyzed by third-party laboratories and clearly post the results of the findings. Nowadays, CBD is being sold everywhere. If you go to a Farmer’s Market, flea market, or other location you might encounter CBD oils that have been created by the seller. Currently, there are no safety rules ineffective to control the oil. Oil’s appearance: Is it brown, amber, golden, greenish? Remember, CBD oils do not come in reds, oranges, etc. When choosing a cannabis oil, remember that your personal taste might be different than others. You may enjoy a whole plant experience that boasts the grassy flavor of the plant’s natural chlorophyll, but another person prefers the highly filtered and refined taste of gold CBD oil. Remember, a darker oil is usually minimally processed but the lighter hues have gone through significant filtration and processing steps which makes it further removed from the natural state of the cannabis plant. In Colombia, the indigenous folk is licensed by the government to make cannabis products. It appears there’s no way of learning anything about the process they use. The CBD oil is almost colorless – very very pale yellow – with virtually no taste but a distinct aftertaste. The suggested dose is 15 drops three times a day. Can you make anything of this? Forget buying from other countries because it would never get past customs.